Brazil’s fascist new president Jair Bolsonaro said on Tuesday that he would take all action “within the rule of law and democracy” to oppose the governments of Venezuela and Cuba. 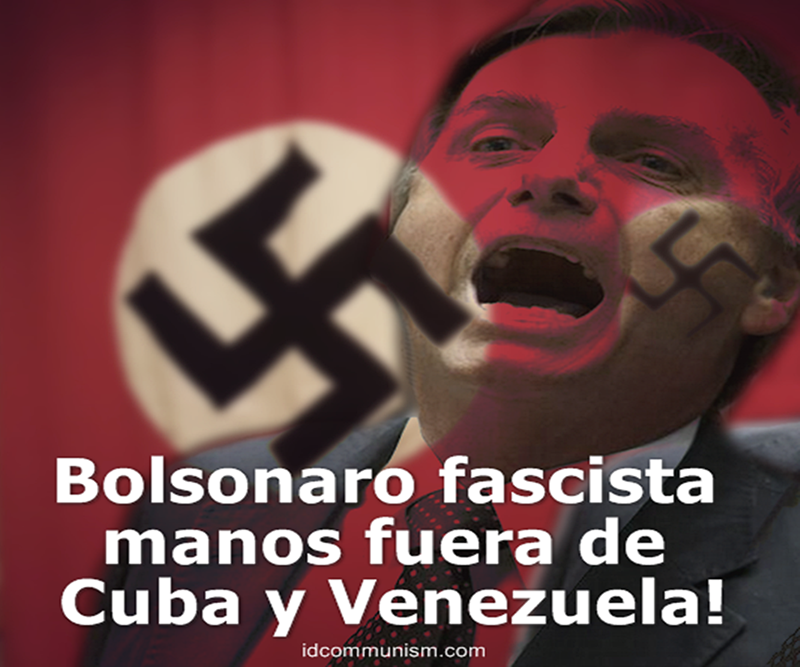 A fervent anticommunist, praiser of the crimes committed during the 1964-1985 dictatorial military regime in Brazil and loyal ally of U.S. imperialism, Bolsonaro unleashed threats against Cuba and Venezuela during a Facebook live video, without providing further details. 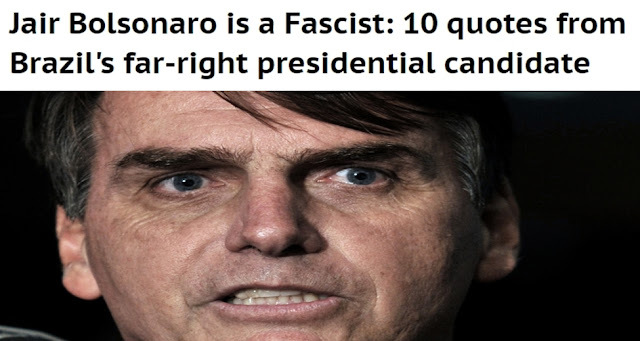 It is characteristic that the U.S. government has expressed its support towards Bolsonaro, counting on the new Brazilian administration for the implementation of the imperialist plans in Latin America. In late November, U.S. President Donald Trump’s national security adviser John Bolton met Bolsonaro in his Rio de Janeiro home to help cement ties. Bolton said Bolsonaro’s election was a “historic opportunity” for Brazil and the United States to work together on security, economics and other issues. Not surprisingly, John Bolton has been accused by Venezuela's president Nicolas Maduro as the mastermind behind a plot to assassinate him and overthrow his government. The people of Brazil, alongside the people and the working class of the other Latin American countries, must oppose and resist Bolsonaro's effort to intimidate Cuba and Venezuela. The heinous plans of the U.S. imperialists and their new puppet in Brasilia must be blocked by the mass resistance of the people's movement throughout America. 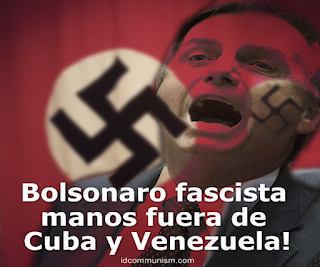 Bolsonaro fascista, manos fuera de Cuba y Venezuela!